Hundreds of yachts are ready to serve our clients who are interested in having yacht charter in Gocek in the Fethiye area. Cruising in the company of your lovely friends will refresh your body and soul, so that you can go back to your responsibilities full of energy and activeness. 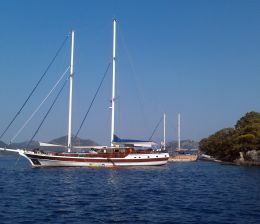 You can check our portfolio to choose your yacht charter Turkey in Gocek yourself. 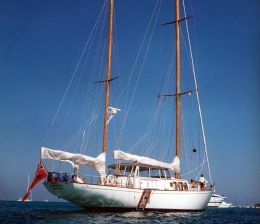 Our webpage has links for hundreds of yachts that you may choose one of them for your coming holiday. Clicking on the yacht image, the link will take you to the full information about the yacht concerning size, number of cabins and pricing as well. We highly recommend that our customers call us one month earlier than their yacht charter in Gocek vacation time especially for July and August because they are the top season and they are the most crowded, so that they can make sure that they can cruise in the same time they would like to. Otherwise, they might not have a chance to cruise on board of the same yacht they are interested in.